Then, hoping to get a break from the media circus, Green headed off to Greece on holiday on his infamous yacht. 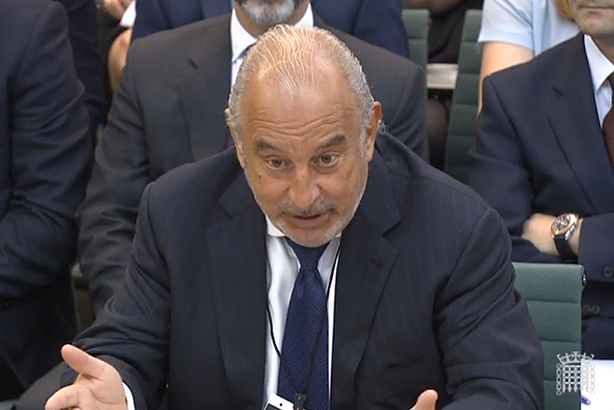 There, he was doorstepped by Sky, who thought it a perfect time for Green to field questions on BHS. Not surprisingly, he disagreed, having turned down prior requests for interview. While these ambush-style approaches can stir public sympathy for those accosted, Green’s angry, defensive response when confronted by Sky on dry land did him no favours. It ended with an expletive-filled threat to throw the camera crew’s gear into the sea. TV gold, but not a good exercise in media relations, the subsequent off-camera handshake mentioned by the journalist notwithstanding. As the public debate had already framed Green in such a negative light, he couldn’t afford to behave like this. It was a rookie mistake for a seasoned businessman who had surely been in the game long enough to know what Sky was after (and got). It certainly won’t have impressed Maitland chief executive Neil Bennett, who has also received substantial attention since being taken on to advise Green and Arcadia in June. And it’s fair to say that Sky can expect to go straight to the bottom of the list for any future interviews Green does give.